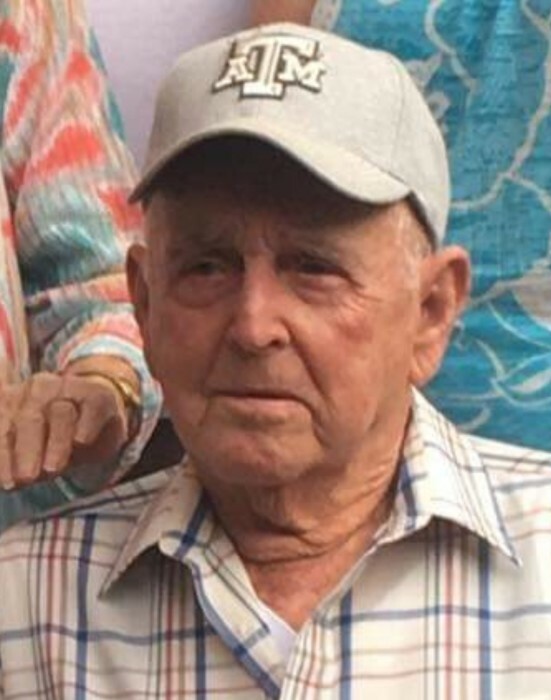 HITCHCOCK - Mr. Charles Greb Robinson, Sr. passed from this life Sunday morning, February 10, 2019, in Hitchcock. Born March 16, 1928 in Hitchcock, Texas, Charles had been a lifelong resident of Hitchcock. He was a member of the OCAW #4-449 and John Mitchell Masonic Lodge #1441 AF & AM. He loved to go hunting and was a known by all as a die-hard Democrat. His true passion was in raising cattle, but nothing gave Charles more joy than being with his family, especially his grandkids. He was preceded in death by his parents, Norton Frank and Mileane Irene (Greb) Robinson; wife, Velma Marie (Fulfer) Robinson; brother, Norton Frank Robinson, Jr; sister, Bertha Gibson; brother-in-law, Howard Ohlund; sister-in-law, Alice Robinson. Survivors include his sons, Ted and Pam Robinson of Hitchcock, Reverend Charles and Janice Robinson, Jr. of Belton, Texas; brothers, Mac Robinson of Hitchcock, Harry and JoAnn Robinson of Hitchcock; sisters, Mileane Ohlund of La Marque, Annie Mae and Ford Gustafson of Hitchcock, Grace and Butch Cambiano of Hitchcock; sisters-in-law, Vina Doty of Bridgport, Texas, Florine Robinson of Hitchcock; grandchildren, Ted and Alicia Robinson, Jr., Daryl and Tanya Robinson, Amy Robinson and Arron Mathis, Stacie and Matt Wood; great-grandchildren, Kyle Wood, Jennifer Robinson, Noah Wood, Austin Robinson, Hunter Robinson, Avery Robinson, Charles Robinson, Reese Robinson, Brynlee Mathis; numerous nieces and nephews. Funeral services will be 10:00 a.m. Tuesday, February 12, 2019, in the chapel of Hayes Funeral Home, with Reverend Charles Robinson, Jr. officiating. Interment will follow at Galveston Memorial Park Cemetery. Pallbearers will be Arron Mathis, Austin Robinson, Daryl Robinson, Kyle Wood, Noah Wood and Ted Robinson, Jr. Honorary Pallbearers will be Matt Wood, Hunter Robinson, Charles Robinson and Reese Robinson. Visitation with the family will be from 5:00 – 8:00 p.m. Monday at the funeral home, 10412 Highway 6, Hitchcock, TX (409) 925-3501. Memorials in the form of donations may be made in Charles’s name to Shriner’s Hospitals for Children, 815 Market Street, Galveston, Texas 77550-2725 or Genevieve Miller Hitchcock Public Library, 8005 Berry Avenue, Hitchcock, Texas 77563.